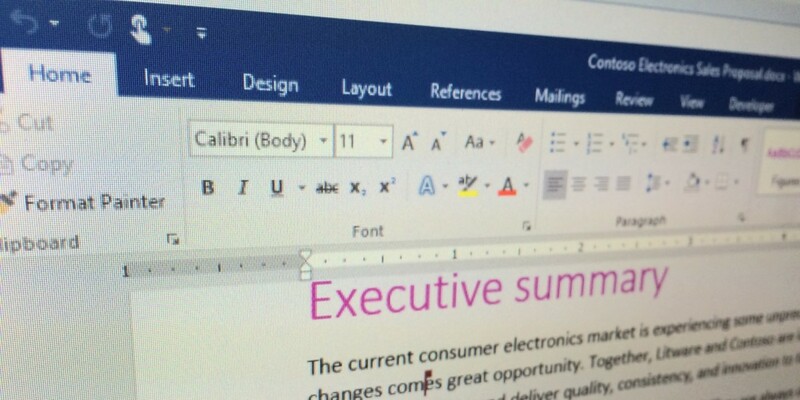 Microsoft’s latest update for Office 2016 Preview brings a range of useful new features to the productivity suite, including better real-time collaboration and simplified file sharing. Real Time Presence allows Word users to see where in a document your colleagues are making edits. Microsoft says it will expand on this feature in subsequent builds and will first roll it out to OneDrive for Business subscribers. Users can now share files in one step by clicking the Share button on the Ribbon toolbar. These files can then be viewed, commented on and edited by teammates in the cloud. In addition, the update makes different versions of files available via the History command in the File menu. Word and Outlook also gain Insights for Office. Powered by Bing, this feature brings contextual information from the Web based on keywords you select in your content and displays it in the Task pane to help inform your work.